Immigration transformed American Catholicism from a small church dominated by Maryland gentry at the opening of the national period into the largest single denomination the United States by the time of the Civil War. Raw statistics tell one part of the story. From about 1820, when the migrations began, to about 1920, the Catholic population rose dramatically: 4,300,000 Irish by 1850; 1,650,000 Germans by 1880. About four million Italians arrived between 1880 and 1920, two million Poles between 1870 and 1920, one million French Canadians between 1880 and 1910. Slovaks, Czechs, Lithuanians, and other immigrants, as well as the Spanish Catholics of the old Southwest, transformed American Catholicism into a multi-national, multi-ethnic church in which twenty-eight different languages were spoken and many different kinds of devotional forms flourished. Moreover, many Eastern rite Catholics also began to immigrate to the United States in the 1870s, particularly Ukrainian and Carpathian Greek Catholics who were recruited to work in the mills and mines of the Northeast. Another important part of the story is the strategy devised by church leaders to address this situation. Facing anti-Catholic sentiment, the Irish, who emerged as leaders of the church, saw the necessity of Americanizing immigrants in order to integrate them into the nation. At the same time, they saw a threat in too much assimilation fearing that it might undermine central Catholic sacramental traditions, doctrines, and devotional practices, such as devotion to the saints and Mary. With the encouragement of the Vatican, Catholic leaders adopted a “fortress church” strategy designed to unite immigrants from many nations in a single American church, while also shielding that church from Protestantism. 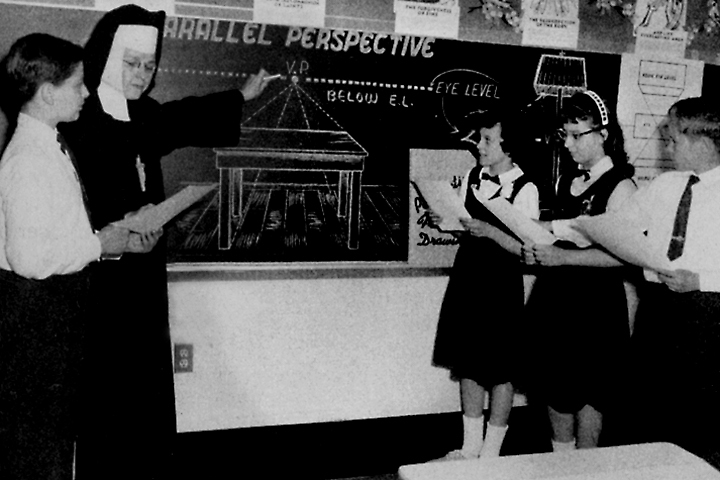 A keystone to this strategy was the creation of an extensive Catholic educational system, including thousands of parochial schools that flourished for over a century, well into the 1960s. Among those involved in the beginnings of the Catholic parochial school movement was Elizabeth Seton (1774-1821), founder of the Sisters of Charity, a teaching order. 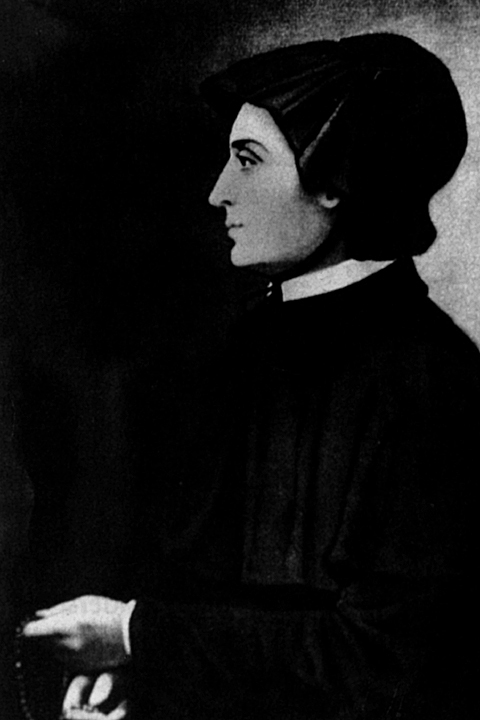 Seton was the first American-born Catholic saint, canonized by Pope Paul VI in 1975. Catholics have perennially experienced tension between the progressive climate of America and the more traditional leadership of Rome. One outstanding example of this tension occurred in the second half of the nineteenth century when Archbishop John Ireland of St. Paul and other bishops steered American Catholicism in a theologically and socially progressive direction. The papacy affirmed many of Ireland’s social ideals but, at the same time, quashed liberal theological developments. As a result, American Catholics entered the twentieth century as social progressives and theological conservatives. A similar development occurred after the Second Vatican Council convened in the 1960s. The statements and actions of the Council under Pope John XXIII encouraged many Catholics, both clergy and laity, to expect radical changes in theology, the role of women in the church, and a range of other issues, only to find their enthusiasm dampened over the course of several decades by the more conservative papacy of John’s successors. The election of John F. Kennedy to the presidency in 1960 was a significant milestone for American Catholics, who claimed for the first time a strong voice in American public affairs. From this point on, Roman Catholic identity would no longer be an obstacle to high political office. According to the Association of Religion Data Archives, Catholicism remained, as of 2010, the largest single American denomination. It faces many new challenges: a sharp decline in clergy; the erosion of once tight-knit ethnic communities; the scandal over revelations of widespread sexual abuse of young people by clergy and its cover-up by their bishops; the arrival of numerous Asian and Hispanic Catholics, many of whom have little in common with the increasingly middle-class constituency of the rest of their church; and the emergence of “cafeteria Catholicism,” the tendency of many lay Catholics to pick and choose among church teachings, such as that on contraception, in living their daily lives.